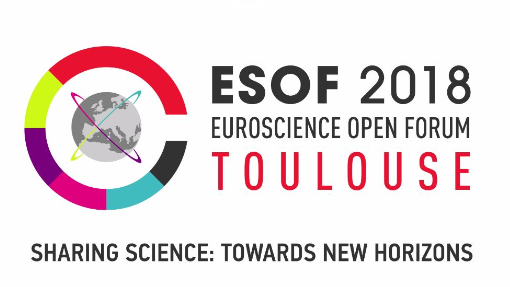 Last 9-14 of July, took place in Toulouse (France) the 8th edition of ESOF(EuroScience Open Forum), the largest interdisciplinary science meeting in Europe. The initiative was dedicated to scientific research and innovation: hundreds of conferences, workshops and debates were joined by scientists, innovators, policy makers, business people, offering a unique framework for interaction and debate. Particularly aligned with REACH project principle of participatory approaches was the scientific programme, which highlighted and questioned the interplay between science and society: in this context specific attention was dedicated to discuss the role of scientific advice in modern society. The session, titled "Citizens and science advice - challenges and opportunities of participatory science advice" explored ways of engaging citizens at different stages during the development of science advice, in particular on questions which are of direct concern to civil society (such as climate change, health and environment-related issues, digital rights and cyber security). The session was presented by different structures delivering science advice to governments, including the European Commission's Group of Chief Scientific Advisors (SAM), science advice bodies from European Member States, the European Academy Networks and national Academies. Attendants debated and shared experiences and lessons aiming to identify best practice which includes an interactive discussion with the audience on new ways of bringing science advice and citizens closer together. Horizon, the EU research & innovation magazine detailed the opinions expressed by the speakers, all remarking the importance to involve civic society into science advice mechanisms and all acribable to this statement: "The scientific community needs to listen more to people outside academia if it wants to continue to help politicians create good evidence-based policies that will benefit the public".